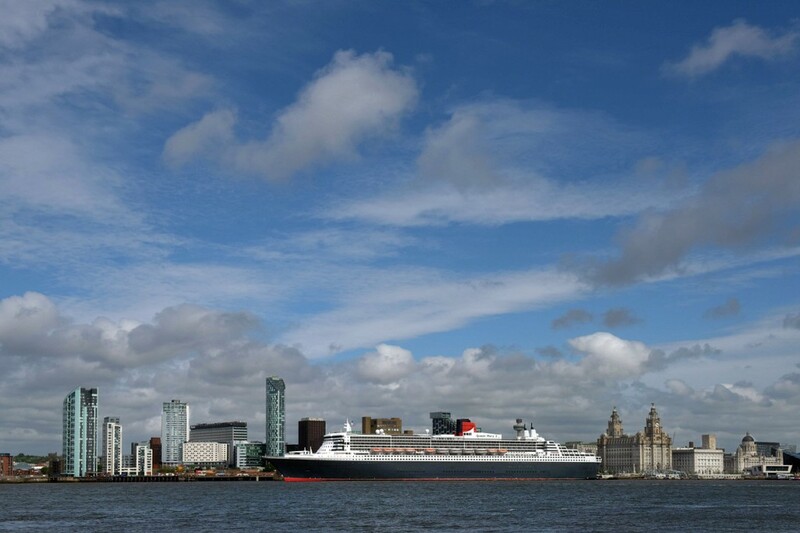 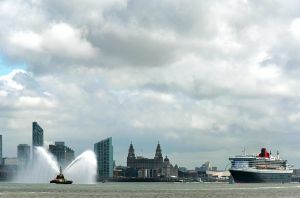 Thousands lined the banks of the Mersey on Bank Holiday Monday to see the three Cunard Queens steam down the river – a rather grand celebration to mark the company’s 175 year presence in the area. 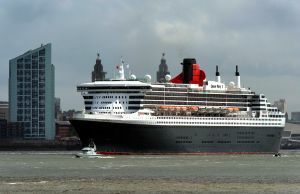 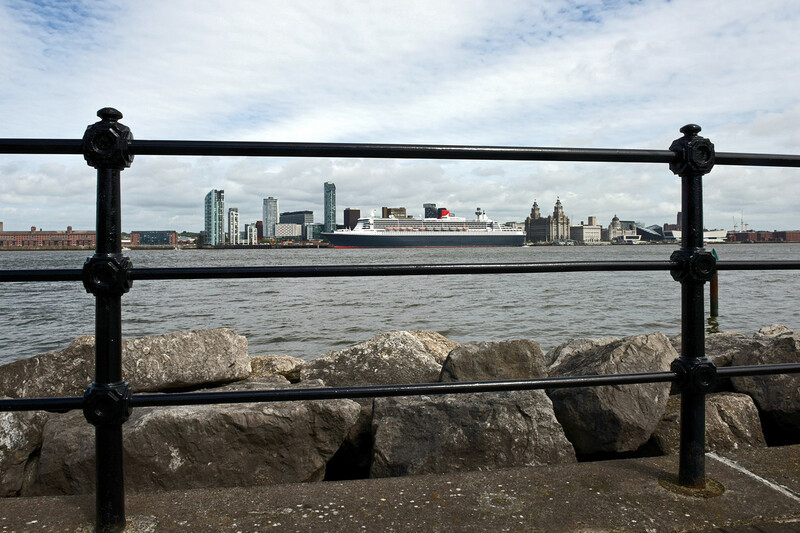 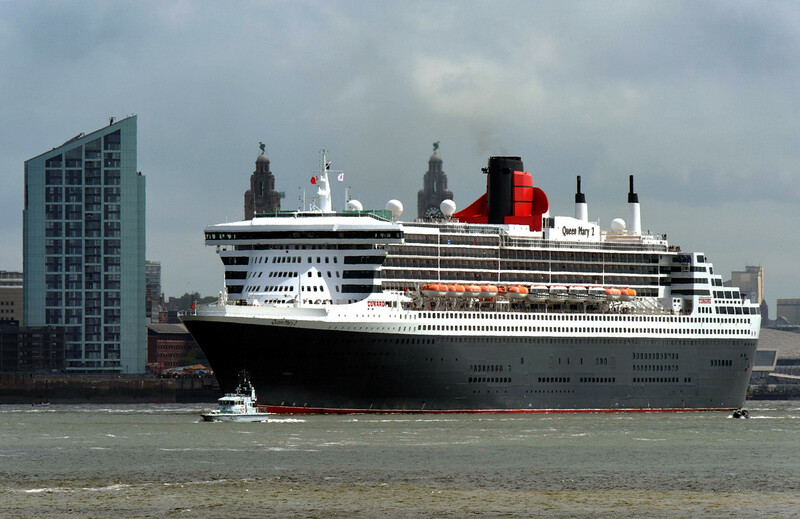 Queen Mary 2 had sailed in May 24th and docked on the famous waterfront. 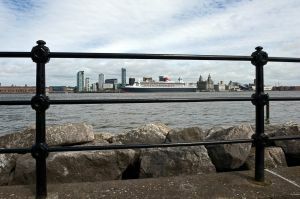 Fortuitously, the sun made a brief appearance in the afternoon as well. From the Seacombe Ferry terminal the QM2 looked pretty darned impressive in front of Liverpool’s Albert Docks. 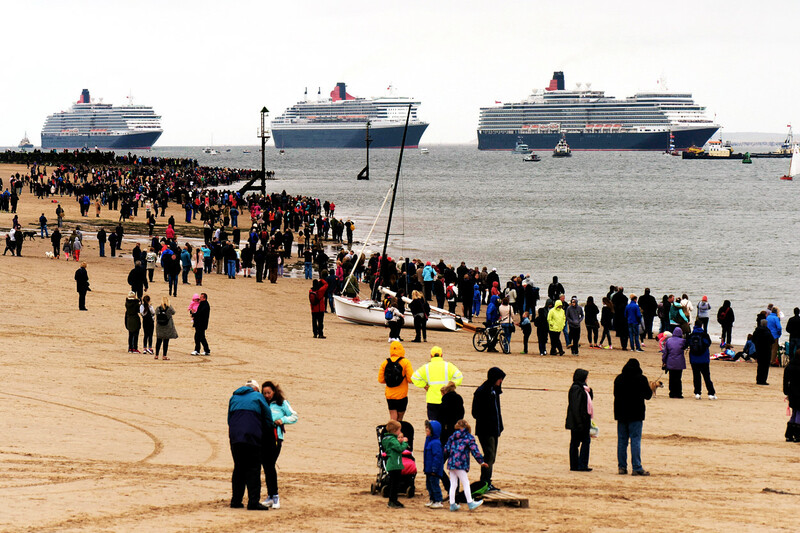 Monday’s grand parade, when the QM2 met her sibling ships – Queen Elizabeth and Queen Victoria, was sadly lacking a blue sky but the monster crowd didn’t seem too stressed by that. 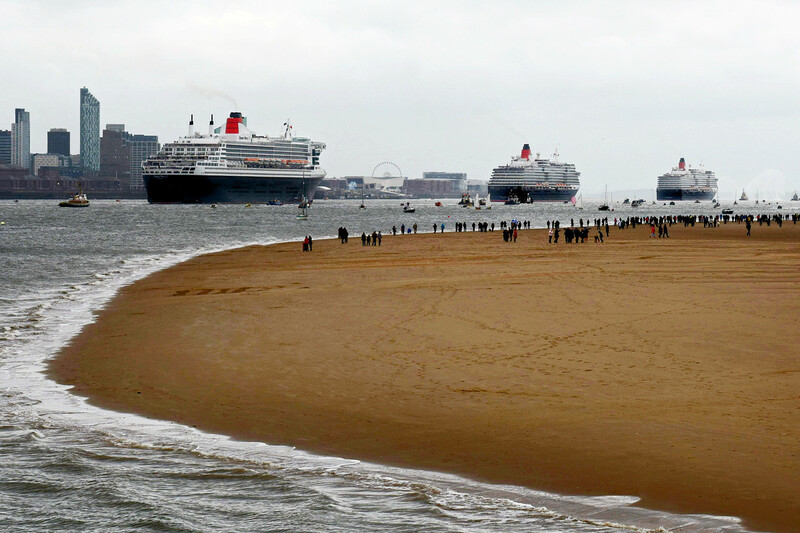 The three Queens met off Perch Rock and then streamed down the Mersey together before spinning round in front of the Cunard building and then heading back up the river. The Red Arrows even dipped down out of the murk at one point on a flypast on their way to another engagement. 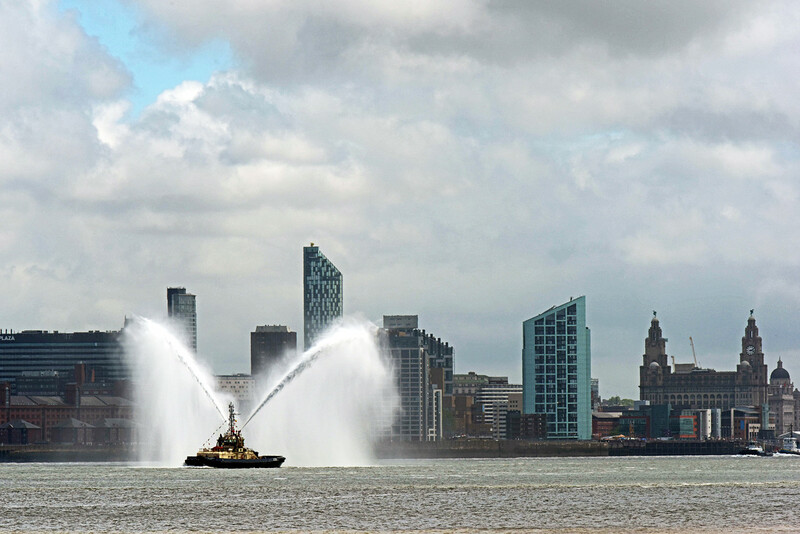 I always try and nip along to events like this if I’m in the area and I’m glad I did. 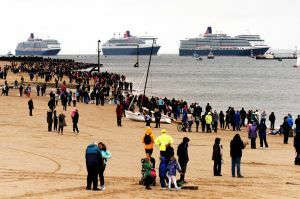 It was rather frustrating photographically – dull and overcast for the main event on Monday but eventually a smidgen of sun did appear – just as I was leaving – doh!